The Washington Post's Adam Weinstein is very angry with Second Amendment supporters "bullying" anti-gun leftists by informing them about the inner workings of a firearm. Has this happened to you? 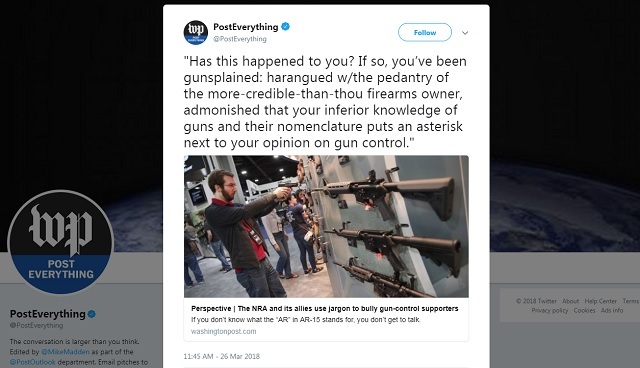 If so, you’ve been gunsplained: harangued with the pedantry of the more-credible-than-thou firearms owner, admonished that your inferior knowledge of guns and their nomenclature puts an asterisk next to your opinion on gun control. You're no longer allowed to explain stuff to people. This is where the left is at. That's why signs like these were seen all over the March For Our Lives rally over the weekend. 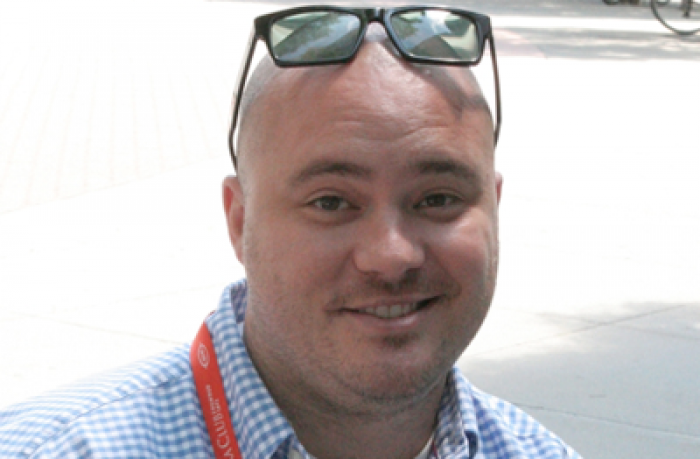 Campus Reform’s Cabot Phillips asked young people who went to the March For Our Lives rally what an ‘assault weapon’ is... they had absolutely no idea. If you explain to her guns don't have "rights" then you're oppressing her. The left's modern nomenclature now revolves around debates not being allowed to happen. They're putting it into practice through mass censorship on YouTube, Google, Facebook and Twitter.